Should you or shouldn’t you? It’s the big question surrounding this year’s flu jab as Britons wrangle with concerns about the vaccine’s effectiveness. As the influenza season takes hold, official figures show the number of people being vaccinated against it is low. Last month, the Royal College of General Practitioners warned that vaccination rates in October were an ‘alarming’ 6 per cent lower compared with the same time last year. The problem has been particularly acute among ‘at-risk’ groups, which include the over-65s, pregnant women and those with serious long-term health conditions, such as heart, lung or kidney disease (who are all offered the jabs free on the NHS). Frontline NHS staff – those in direct contact with patients – were also failing, in large numbers, to get the jab. The latest figures show that in November the numbers rose, and were even slightly up on those from the same time in 2014 – though officials at Public Health England are warning that ‘there is no place for complacency’ about the statistics. Indeed. 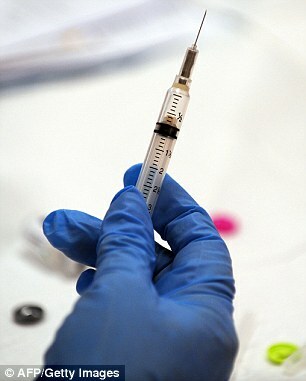 Clearly public confidence in the jab has been affected by the fact that last year’s vaccine didn’t work very well – scientists had identified the wrong strain of flu to target and, as a result, the jab worked in a mere 3 per cent of cases, it was initially thought. This figure has recently been revised up to 34 per cent, but is still much lower than usual. And the inefficiency of the jab has been blamed by Patient Concern for the fact that last year, England and Wales had the highest winter death toll in a decade and a half.